Is Fido in need of a little extra behavioural training and interested in using the crate training method? But you don’t know where to start? Look no further; the answer is here! Nadia Crighton investigates. So your beloved older dog is acting up? Perhaps inappropriately toileting in the house at night? Or even becoming incredibly destructive with pillows or other items when you are away from home? Dog crate training could be your answer. 1. Why is my dog exhibiting this behaviour? 2. Could it be due to boredom? 3. Are they adequately exercised for their breed and size? 4. Do you rotate toys daily and use boredom busting devices? 5. When is this behaviour occurring? At night? During the day? Only when a certain person is away from home? Before you start crate training your dog for destructive behaviour, you must get to the cause of the behaviour and rectify the problem. 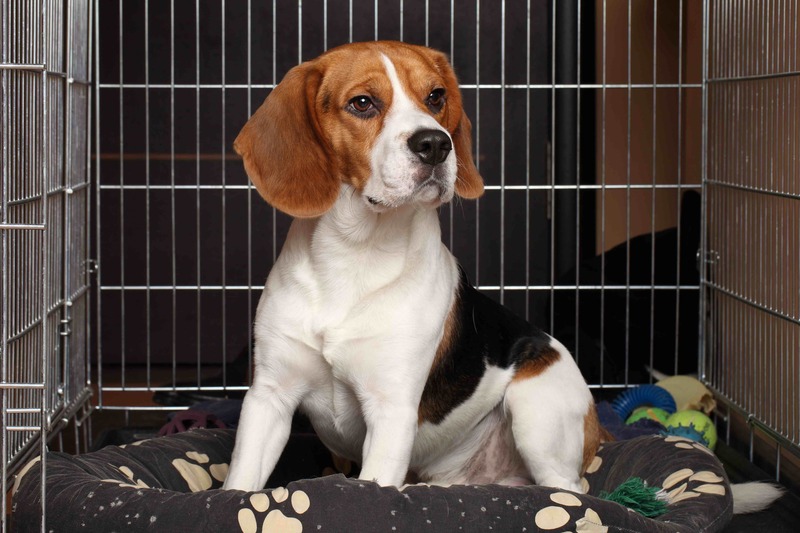 Then you can use crate training to teach your dog to sit calmly and quietly during certain times. For instance; it could be a separation anxiety issue or a case of severe boredom. Crate training will not fix those issues. Your dog will continue to be destructive at other times; so please ensure you do your homework before you start your crate training. For some older dogs, they need a refresher course in toilet training. Crate training can be perfect for this. It’s also a good way to get your dog used to sitting in the car for a long period of time, nice and quietly (and safely) in their dog crate. 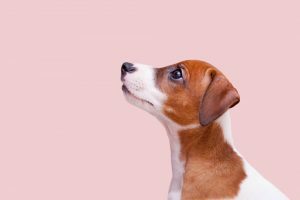 More on the benefits of crate training here. However, it is VITAL that you begin slowly and steadily with an older dog. This means that if you are having toileting issues or behavioural issues do not go out and purchase a dog crate and lock your dog inside. This will only teach them to fret and to be miserable (and not sit quietly and calmly). Rome wasn’t built in a day, and nor will your dog’s problematic behaviour, so patience is the key. If you are considering a long car journey or an overseas move, start your crate training a few MONTHS ahead of the adventure. 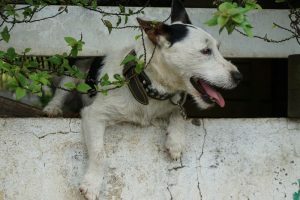 Older dogs will take longer than puppies to get used to their crate and it is paramount you do it the right way; otherwise Fido could have a fear towards the crate which may last forever. Feed your dog inside the dog crate. Start at the door, then gradually move the food further, and further towards the back of the crate so your dog will eventually be completely inside when eating. Make it comfortable! Super comfortable! 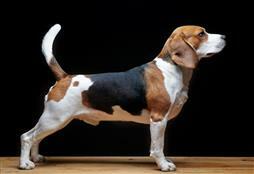 If your dog is fretting, wait for a quiet interval, open the door and start the stages again. Go at your dog’s pace, and soon they will love their crate. And all the good things that come with being inside their crate. The best time to use the dog crate is during times when you know your dog will ‘probably’ toilet in the home, like during the night, or during a short trip when you are away from home. Do not use the crate as punishment. It should not be a punishment zone for being destructive. It needs to be used as a preventative to teach your dog to be calm and quiet for a few hours. It’s also good to train the ‘quick go’ command, so that you can ensure your dog’s bowels and bladder are empty before they go into the dog crate. This is an easy command to teach. It’s as simple as commentating your dog’s toileting every time they go (or when you see them go) with the words ‘quick go’. Soon your dog will realise what you are asking and will pee on command. 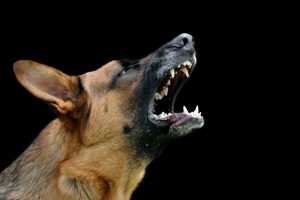 If your dog is overly destructive and you are sure they are not suffering from boredom; it is advisable to seek professional advice from a dog behaviourist, who will be able to solve your problem. 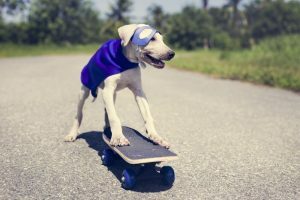 More content: Dogs are never too old to learn some new tricks! Here’s how!